The power of the mind……. I often wonder about the power of an animal’s mind and whether they have the ability to ‘make you do something’. Of course the answer is ‘Yes’ – as you will see here. 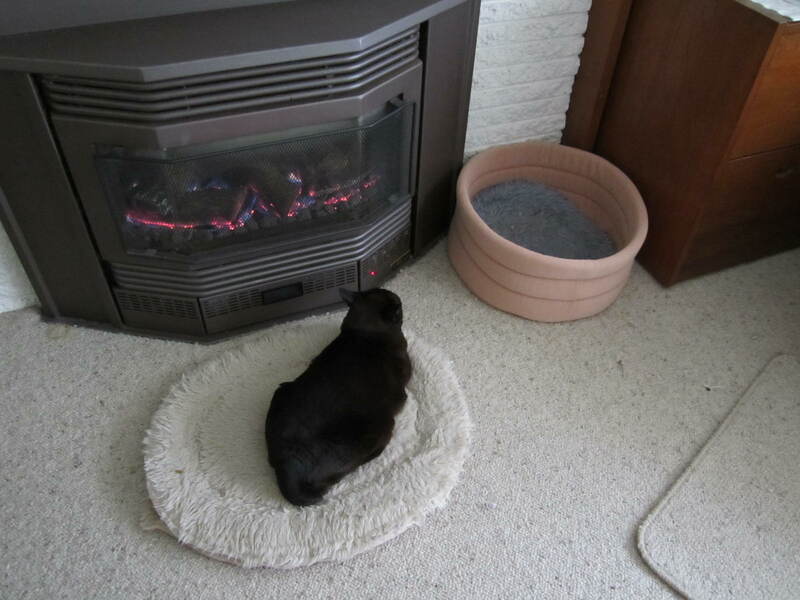 Early morning, cool and grey outside, no fire turned on. Someone seems to think otherwise. I’m sure she was lying there on ‘her’ mat sending out mind messages, visualising me turning the switch. Do you think they will take the hint? A little later the room is warmer, everything looks and feels warmer. 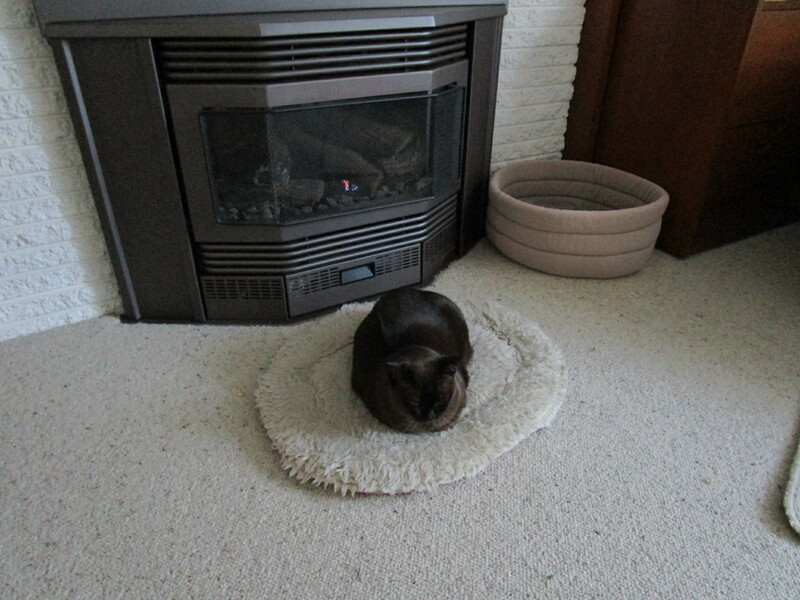 Kiera is now turned to the heat ignoring everyone. This entry was posted in Daily Life and tagged cats, Kiera, Observations by Cathy. Bookmark the permalink. No doubt about it – the power of the mind switches on many things! It is true, cats rule the roost and do not have owners, only servants. I’m glad I’m not the only one who runs around after the needs of the cat! Your post put a huge smile on my face 😀 Just love our cats! that is so cute, lol! Oh, for sure, they are great at that, dogs too. Jack will lick his lips when he wants whatever – food, water, treat – until I ask him, when I guess right, he wags his tail. Oh yes. Both Jazz n Jewel hex me to meet their every whim. And are very, very skilled manipulators. I don’t know about cats, but dogs and master are always attuned to each other. I don’t know if it is Jasmine’s mind or the fact she is jumping up and down next to me!!! I am convinced of it.,my diog Alfie sits outside for ages waiting for me to entice him back inside with a treat. of course they send mind signals. Our dogs do it all the time. I am convinced you are right. Dogs and cats know how to make you do what they want you to do.